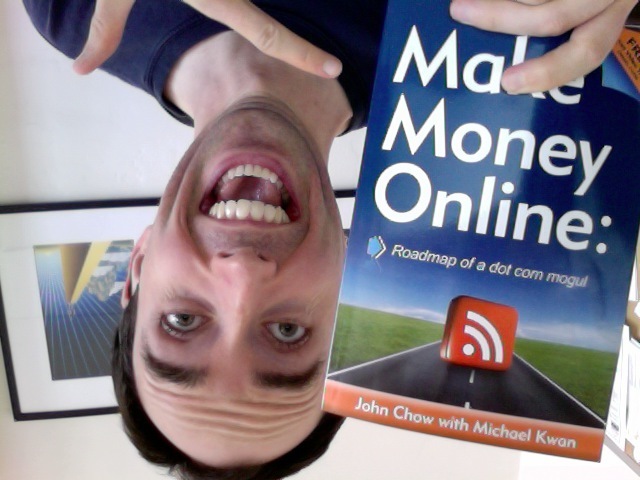 My friend Zac Johnson has purchased ten signed copies of Make Money Online: Roadmap of a Dot Com Mogul to give away to ten lucky readers. To enter, all you have to do is download Zac’s new eBook, Six Figure Affiliate Blogging. The eBook is free so entering this contest won’t cost you anything. Zac will draw the ten winners at the end of this month. You have until then to enter. Your odds of winning is based on the number of people who download Zac’s eBook. Good luck! If you really want a signed copy of my book and don’t want to leave it to luck, you can buy it directly from me for $20 plus $3.99 flat world wide shipping. Please include your name and shipping address plus any special dedication you want me to sign onto the book. Then you can be like Kevin Delaney and take a photo of yourself and the book and enter my iPad contest.